FREE for Members and Guests. Non-Member Guests may attend 2X before joining the Chamber. Falls After Five is an after-work reception that offers opportunities to meet and network with fellow Chamber Members in an informal setting while supporting a Chamber Member business. Bring your business cards and enjoy networking, refreshments and tours! Stop by after work, even if only for a few minutes . . . bring 5 business cards and see how far they go! We promise you will meet fellow business leaders with whom you can potentially do business. 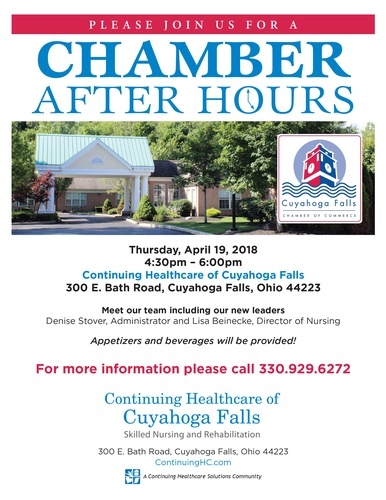 Non-members are welcome to attend to check out the Cuyahoga Falls Chamber!